A cute, angel hero descends from Celestia!? 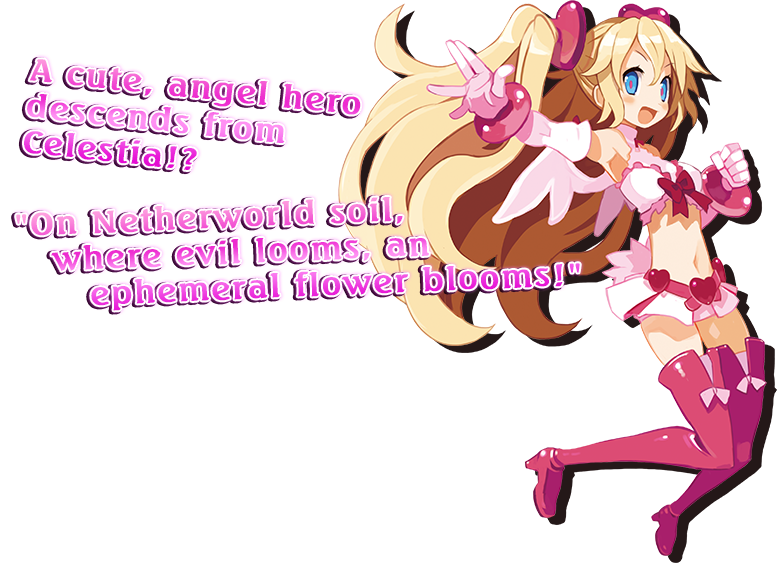 "On Netherworld soil, where evil looms, an ephemeral flower blooms!" All we know about this angel is, according to Sicily, she looks like Pure Pink from the Pure Seven Morphing Angels TV show from Celestia. Who is this girl! ?